Residential property in the United Kingdom is at a steady growth. According to Property Partner, the market is now valued at more than £5 trillion and buy-to-let transactions add up to more than £20 billion annually. Additionally, urbanisation, the scarcity of land, a growing population, as well as significant local and international demand for residential property in the U.K., have driven prices through the roof. According to the British Property Federation (BPF), residential property is the U.K.’s largest investment asset class, and has developed a reputation for delivering far better returns than more traditional investment assets. Over the past ten years, the performance of residential property in the U.K. has surpassed that of commercial property, with total annualised returns of 9.6% versus 6.9%. While the robust housing market is opening up numerous business opportunities for estate and letting agents, many will miss out on the same opportunities if they fail to optimise their online marketing. Make no mistake; the Internet has become the definitive research portal for property buyers and sellers. 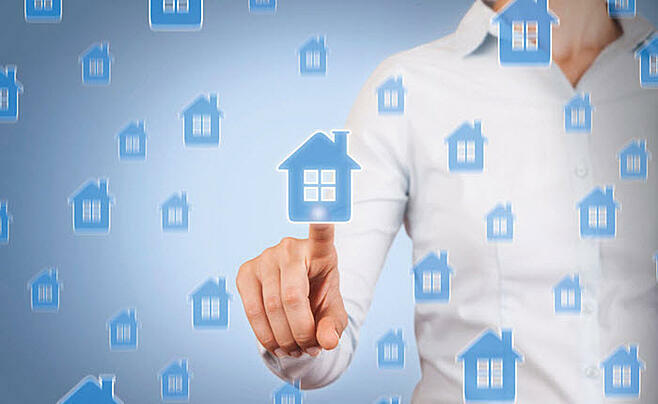 In fact, 98% of all property searches in the United Kingdom are now conducted online. This means that the vast majority of property buyers and sellers are using the major UK search engines (Google, Bing, and Yahoo), as well as property websites (such as Zoopla and Rightmove), to look for suitable properties as well as estate agents. Research carried out by the online estate agent, eMoov.co.uk, has found that the majority of property buyers arm themselves with a great deal of information before they view desired properties. In fact, prior to attending a viewing, 98% of property buyers conduct research online. The first stage in the process is usually visiting the property details page and reading the full property description (this was the starting point for 67% of respondents). Forty-one percent viewed floor plans; 36% compared the property to others listed in the area; and 21% would research previous property sold prices. With the housing market heating up, many on-the-go property buyers are relying on their mobile devices and tablets to stay on top of the property market. According to comScore, more than half (56%) of digital consumers in the U.K. use their mobile devices and tablets to consume digital media. Meanwhile, according to a recent report from eMarketer, 50.3% of the U.K. population will use a tablet at least once a month in 2015 — a figure that is expected to rise to almost 60% (or 40.2 million tablet users) by 2019. Think of it: that’s millions of people using their mobile devices and tablets to search for listings, find directions to a home, call or email an agent directly, watch videos about residential properties, and do countless other tasks related to the home buying process. Unless you possess a mobile-friendly website that adjusts and displays seamlessly across an array of devices, you won’t be able to target house hunters who are searching for new homes using multiple devices. With most of your prospective clients using search engines to look for properties and reputable estate agents, you need to ensure that your business website and other web properties are showing up on the SERPs when prospects perform local searches. You also need to ensure that your business website is getting quality traffic from organic, referral, social, direct, and paid sources. Even if your prospective clients do find you, will they find solid reviews about you from your past clients and business associates? Do you have active social media accounts that enable prospects to learn more about your service? Do you offer relevant and informative content on your blog and other publishing platforms? Do your prospects see you as an authoritative source of information about residential property? Will they feel confident about choosing you over your competitors? If you want to capture and nurture more leads and convert them into clients, you’ll need to have a solid digital marketing strategy in place. You also need a solid online brand presence to win new clients and grow your business. Busy estate agents like you don’t have the time to create and implement a digital marketing strategy. You need to focus on your business. Whether you’re offering your clients residential or commercial property services, or property management, our online marketing services will help you attract and nurture more leads, convert them into clients, and build a positive online reputation for your brand. Send us an email now or contact us at 020 8834 4795 so we can schedule a free consultation with you today.